Most ageing eyes become presbyopic, a condition in which the hardened lens is unable to bend and focus effectively on objects at close range. Presbyopia usually surfaces near age 45 and affects both nearsighted and farsighted eyes. 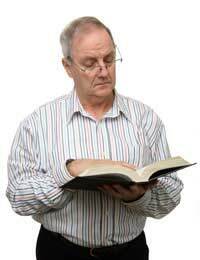 The condition is treated with reading glasses or bifocals. The pupils may lose their ability to adjust quickly to changing light. They may become smaller which reduces the light entering the eye to approximately thirty per cent of normal levels. The vitreous may contain opacities that become visible to the individual as floaters, or spots that bounce or float in the field of vision. The vitreous may shrink, collapse, or detach from the retina, causing a more serious condition and vision loss. Colour vision may fade or change with age. The yellowing lens tends to absorb and scatter blue light, rendering blues darker and less intense. The unimpeded red and yellow light are allowed to pass through and cast a warm, reddish glow onto objects. Conjunctivitis (pink eye) is an inflammation of the conjunctiva that causes a common eye infection. The conjunctiva is the clear, delicate membrane that lines the inside of the eyelids and covers the white part of the eye (sclera). Conjunctivitis is often caused by large doses of ultraviolet light, as in snow-blindness; by allergies to pollen, medications, food, or smoke; by bacteria or viruses; by exhaustion, eyestrain, or lack of sleep; or the use of alcohol. Both viral and bacterial conjunctivitis are common among children and are extremely infectious. Inflammation caused by overexposure to light can cause redness of the sclera and a burning sensation. Bacterial conjunctivitis is usually treated with broad spectrum antibiotic drops or ointment. There is no effective treatment for viral conjunctivitis but the eyes may be made more comfortable by using a lubricant ointment. Chloramphenicol ointment will also help to prevent secondary bacterial infection. Age-related macular degeneration (the loss of pigment at the centre of the retina), is the leading cause of irreversible blindness among those 65 years and older. Contributing factors to macular degeneration include smoking, alcohol intake, a diet high in saturated fat and cholesterol and low in antioxidants, increased ultraviolet light from the depletion of the ozone layer, and excessive sun exposure without protective glasses. Lutein is an antioxidant that protects cells against damage from naturally occurring chemicals known as free radicals. Free radicals are singular or groups of atoms, which can cause damage to cells, impairing the immune system and leading to infectious or sometimes degenerative diseases including damage to the eyes and vision. Because one of the main causes of macular degeneration appears to be sun damage to the sensitive tissue, lutein, acting as a natural eye shade, may protect the retina against too much light. Photoemulsification, a type of extracapsular surgery in which the lens is softened with sound waves and removed through a needle. The posterior capsule remains. The most common is chronic glaucoma in which the aqueous fluid within the eye is able to get to the drainage channels but they slowly become blocked over many years. The eye pressure rises very slowly and although there is no pain to show there is a problem, the field of vision gradually becomes weaker. Acute glaucoma is much less common in western countries. This happens when there is a sudden and more complete blockage to the flow of aqueous fluid to the eye. This is because a narrow "angle" closes to prevent fluid ever getting to the drainage channels. This can be quite painful and will cause permanent damage to your sight if not treated promptly. There are two other main types of glaucoma. When a rise in eye pressure is caused by another eye condition this is called secondary glaucoma. There is also a rare but potentially serious condition in babies called developmental or congenital glaucoma which is caused by malformation in the eye. Treatments aim to reduce the pressure in your eye. Some treatments also aim to improve the blood supply to the optic nerve. You will need to go to hospital for treatment and have regular check-ups afterwards.